Best Trichology Treatment in Vasant Kunj | New Delhi. The scientific study of hair and scalp problems is often referred to as trichology. It is a sub-branch of dermatology and most practitioners of trichology or those who work in large multinational trichology clinics focus on treating hair and scalp problems mainly. 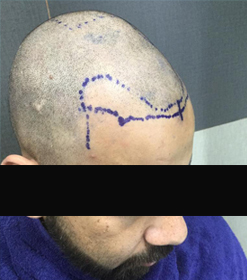 If you are getting treated by the best trichologist in Delhi, then you need to patient for that kind of treatment period in order to avoid relapse of the same complication. Patients with complications related to the following symptoms are advised to see the best trichologists in Delhi. Trichogram where hair is examined under the microscope for various hair problems is an important step in the treatment process. A complete analysis of the results obtained from these tests is used to decide the treatment pedagogy. After examining the results obtained from various kinds of hormone screening tests, haemmorgram, liver function tests and trichogram, treatment is started and most patients see results or complete freedom from hair and scalp problems in six months. Depending on the results of the trichogram and the fungus detection test, anti-microbial therapy is administered in order to arrest hair fall and treat the root cause of hair and scalp problems. Often done through the surgical route, it is resorted to by trichologists, when the patient is not responding to treatment or desires quick results and does not have the patience to endure a long term course of treatment. Depending on the results of the hormone screening tests, hormone therapy is administered by increasing the dosage of the hormone that is deficient in the body. Quite often, it has been seen that the right dose of hormones corrects hair fall within 3-6 months. 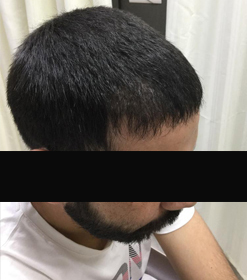 Certain treatment schedules require clinical OPD procedures to arrest the problem which are followed by the application of local gels, creams and ointments for several months in order to heal the patient completely .These gels dilate the pores of the scalp in order to increase blood supply to the hair root. If the patient is found to be deficient in certain minerals like iron then dosage of such minerals and micro-nutrients is increased to improve hair growth. Medicines are prescribed to the patients in order to increase hair growth by improving blood supply to hair roots and help in re-growth of fallen hair. Prescription drugs are critical in determining the outcome of clinical treatment in hair loss treatments. Usually two or more drugs are administered in cases where the patient is displaying slow response. By activating the inactive hair follicles, rejuvenation of the hair and scalp is easy.